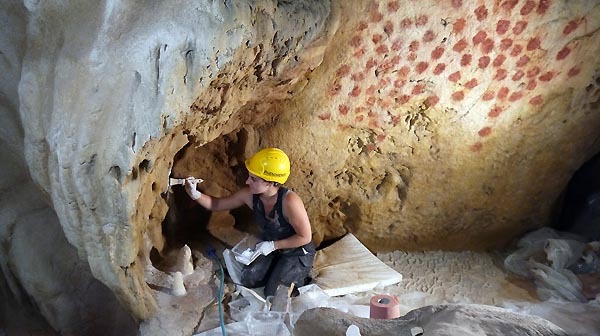 TRACCE » Chauvet-Pont d’Arc cave, grand opening! 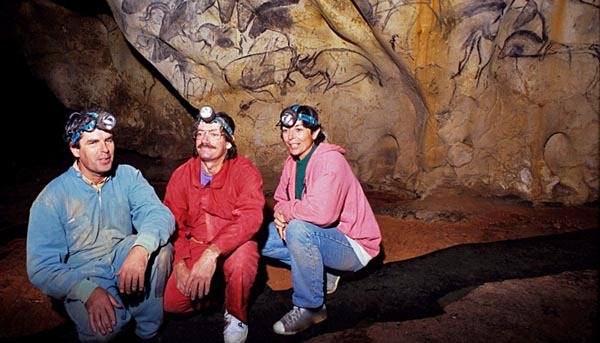 The Chauvet-Pont d’Arc cave was explored for the first time in December 1994 by the French spelunker Jean-Marie Chauvet, accompanied by two friends, Eliette Brunel and Christian Hilaire. They opened a narrow hole and crawled along a passage. 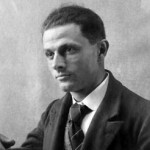 If it was not their first discovery – the tenth to be more precise – surely it was the most important: for a prehistoric cave seeker it was like hitting the jackpot. 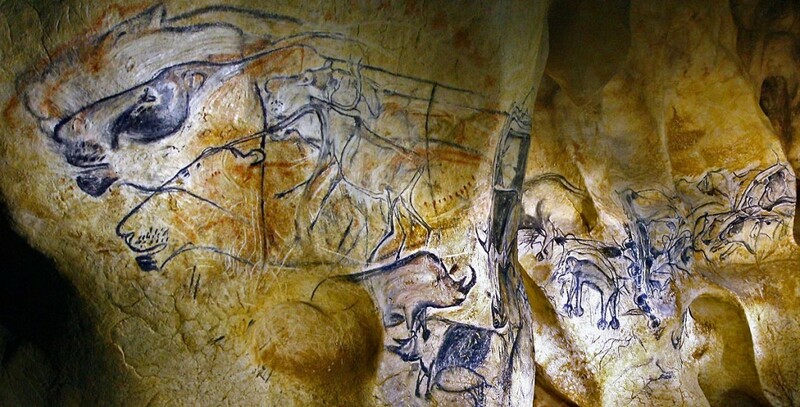 Aged 42, Chauvet had been exploring caves since he was a boy. 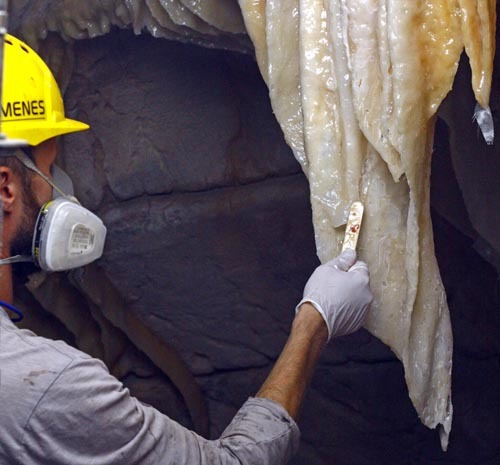 As well as his job as cave watchman, during his free weekends he was performing a passionate and accurately planned search. Such a find was not at all fortuitous: he was looking for it. 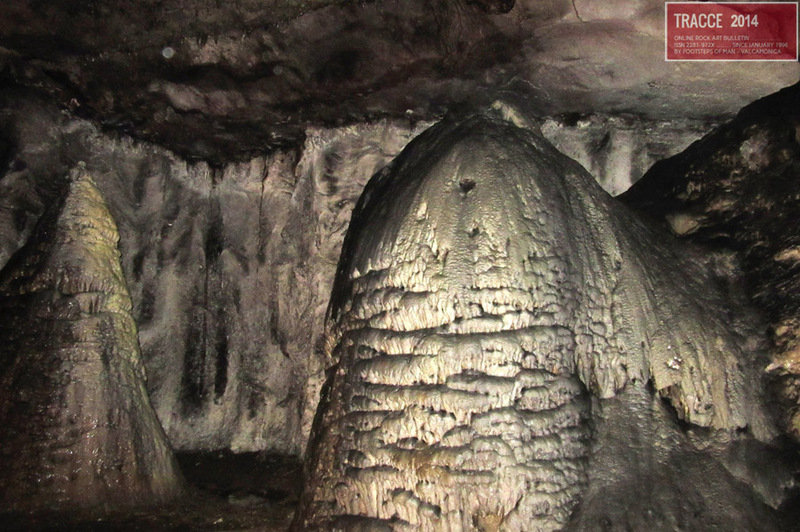 At this time the cave, hence named after its discoverer, was closed, having no entrance; the way-in had been naturally sealed since the prehistoric times by a collapsing cliff, some 21 thousands years ago, accordingly to later geological studies. Cutting through the darkness with his electric torch and looking for the first time at the walls, the explorer thought, thrilled by an intense emotion “I’m dreaming! I’m really dreaming!”. Like the little girl who first saw the bisons painted upon the ceiling of the well known Spanish cave – ¡ Papá, mira, toros pintados! 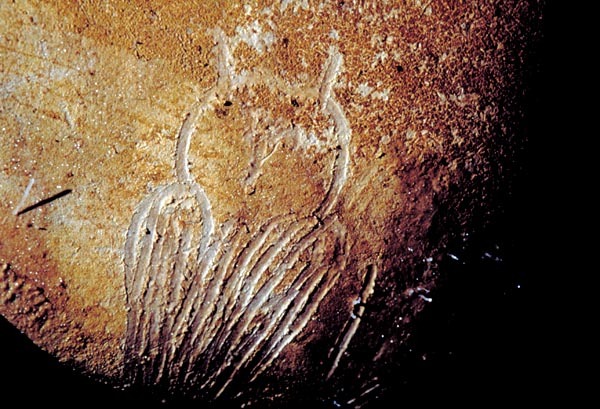 are her famous words – they were facing one of the most impressive, fascinating and astonishing Palaeolithic paintings ever discovered worldwide. 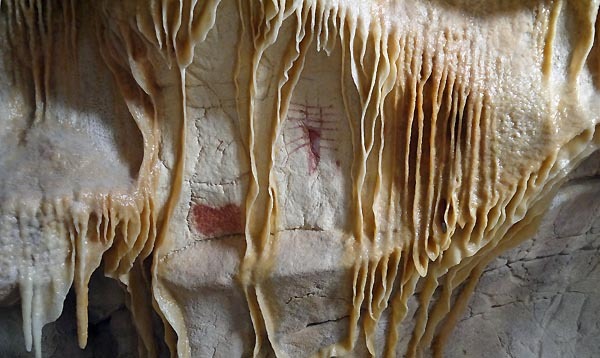 Actually, after the renowned cueva de Altamira (E – discovery 1879, dated to Magdalenian, 15000-13000 BP) and Lascaux (F – discovered 1940, dated to Late Solutrean-Early Magdalenian, 18000-17000 BP) sites, it was one of the greatest cave art findings of the history of archaeology. 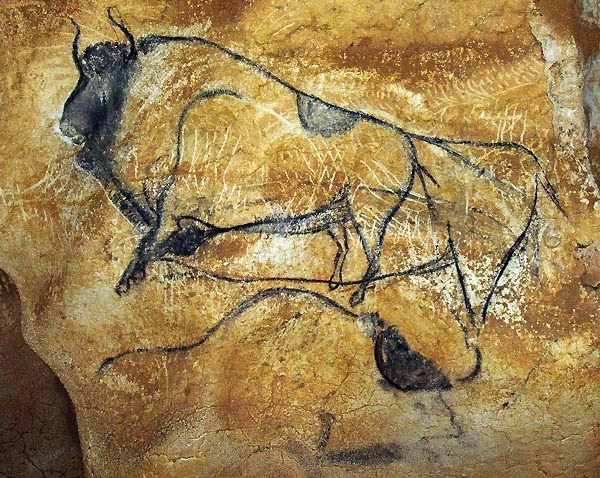 Although this may sound, from the cultural and archaeological point of view, quite Eurocentric, we may recall that both Altamira and Lascaux were already mentioned, for their paintings, as the Sistine Chapel of Prehistory. 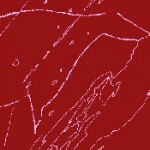 Undoubtedly, Chauvet-Pont d’Arc too is worthy of the same reputation. 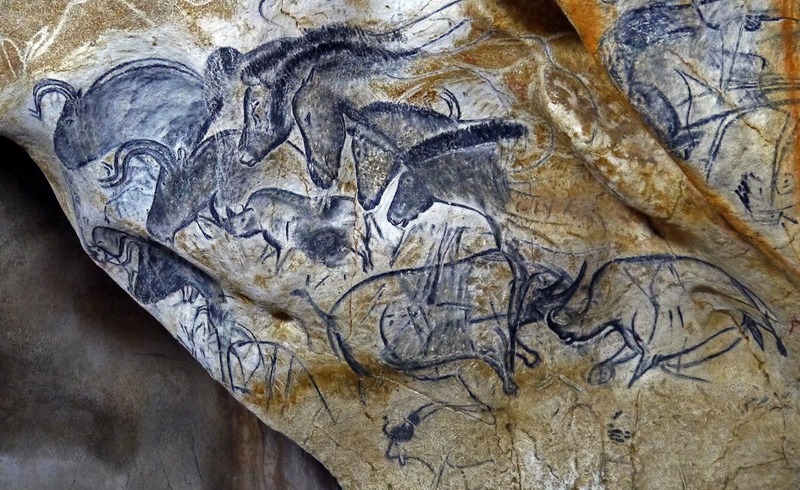 As the underground passages and rooms had been naturally sealed, like Lascaux and unlike Altamira, the cave has remained untouched and its paintings perfectly preserved. The surrounding site is named Pont d’Arc, “bridge arch” in French, thanks to its amazing natural stone arch, dug 400 000 years ago, after a long work, by the Ardèche river. 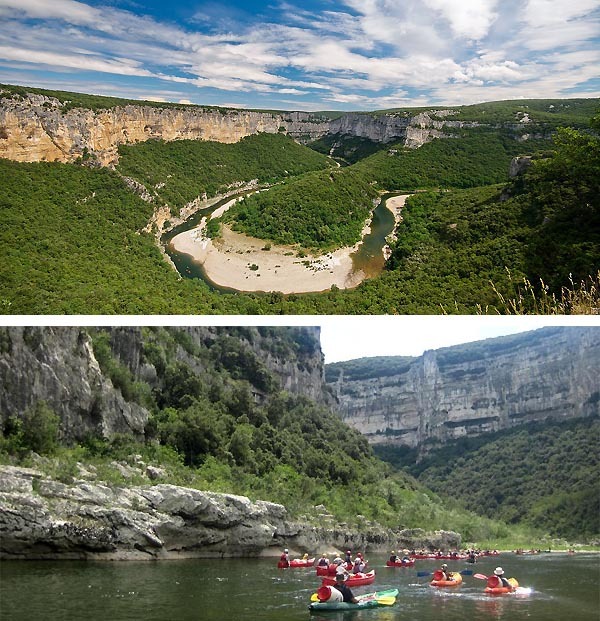 The Ardèche gorges – south France, Rhône-Alpes department – are one of the best renowned west-European sites for canoeing, with a peaceful and intact 30 km long route inside a very scenic canyon. The gorges are enclosed by 300 m deep limestone cliffs; the bottom of the valley is enriched, during summertime, by clear and warm water, with plenty of fish swimming around you. 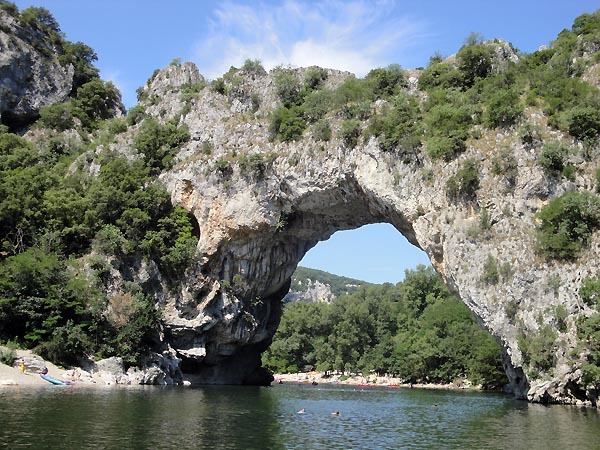 More than one hundred thousand tourists pass every year under this arch, by canoe, kayak or doing the crawl, while one million by car travel along the Ardèche panoramic road (D290). 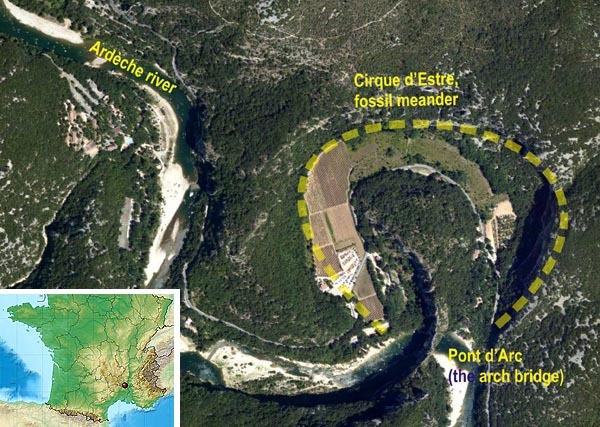 The Chauvet-Pont d’Arc cave is situated just here, in the Cirque d’Estre, a fossil meander of the Ardèche river, near the entrance to the gorges, cut off by the river when it dug out the stone arch. 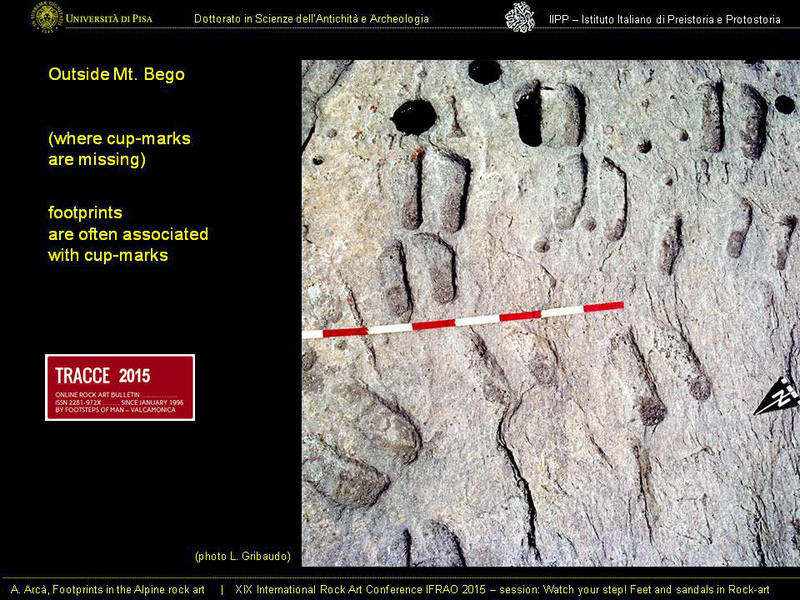 Twenty years after the discovery, on June 2014, the UNESCO granted to this wonder site the World Heritage status. Its iconographic treasure is composed by one thousand drawings; among them more than 400 animal figures, with a bestiary of fourteen different species. 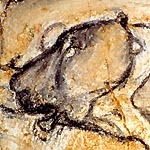 Some depictions are unprecedented for the Palaeolithic cave art: we may cite a panther, an owl and the lower part of a female body, mixed with a bison head. 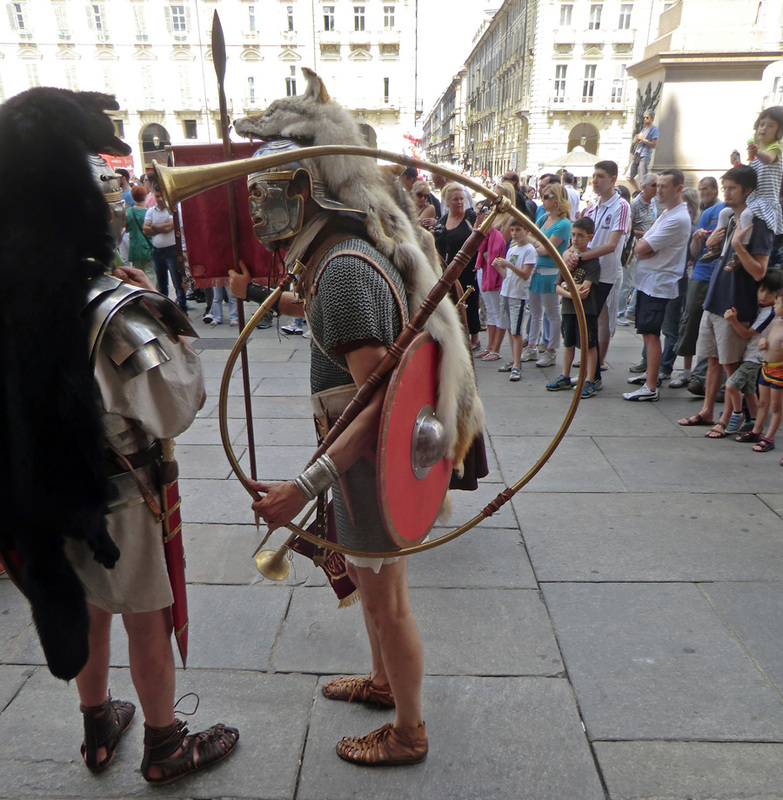 Archaeology, art and interpretation: hunters, shamans or story-tellers? 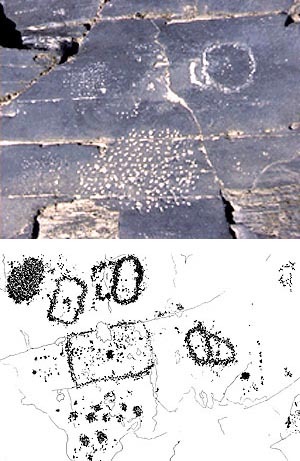 From the archaeological point of view, the radiocarbon dates obtained by the AMS method on pigment, torch mark and charcoal samples upset traditional cave-art chronology, suggesting surprisingly that the art dates back to the Aurignacian, 37 000 to 27 000 BP (calibrated), scattered along two successive phases, much more earlier than previously believed for this kind of iconographic style. 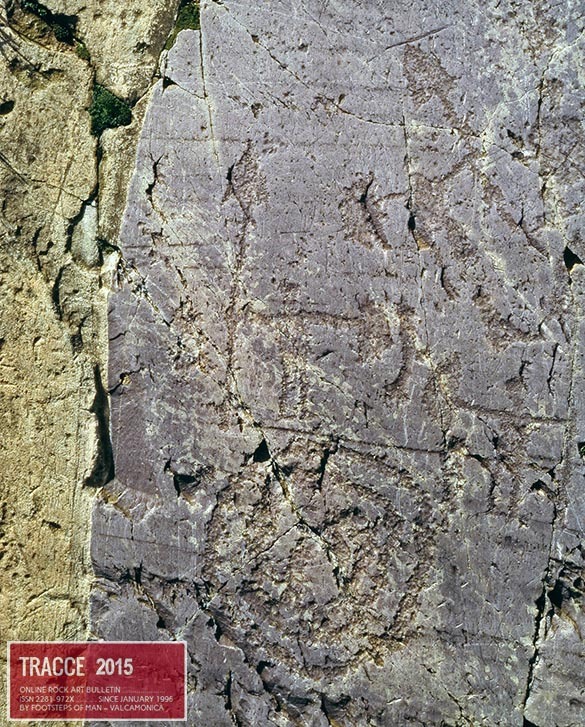 Therefore – considering also that these early dates seem to be strengthened by the geological studies over the natural sealing of the cave entrance – the Chauvet-Pont d’Arc cave scratched and painted figures are playing the oldest and most spectacular characters on the stage of the Franco-Cantabrian Palaeolithic art, not so far from the arrival of the Homo sapiens in western Europe. 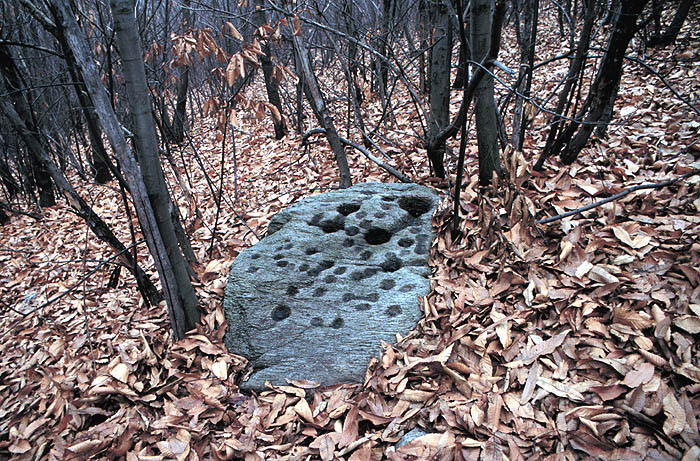 Paintings are not the only traces of the human presence: as the soil remained untouched, a cranium of a cave-bear was found as intentionally posed over a boulder; twenty footprints of a preteen, fireplaces and flint tools with traces of use are also present. 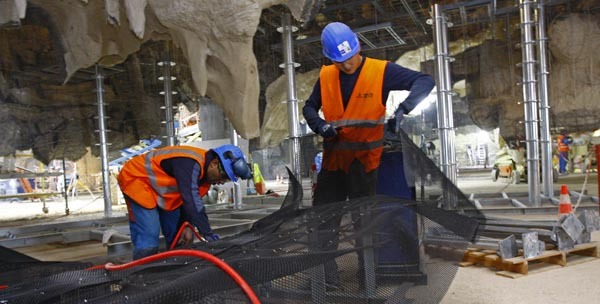 Considering these conditions, and to avoid any contamination of the underground virgin environment, the obvious decision of closing the cave to the public has been taken. 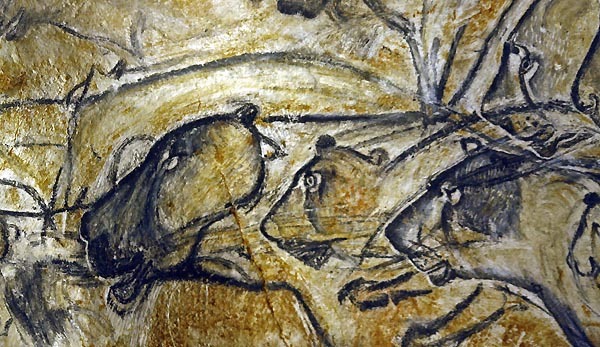 From the artistic point of view, the Chauvet cave paintings are certainly one of the masterpieces of the mankind prehistoric art, populated by dozens of woolly rhinos, felines, mammoths, horses, bisons, aurochs, deer and cave-bears. 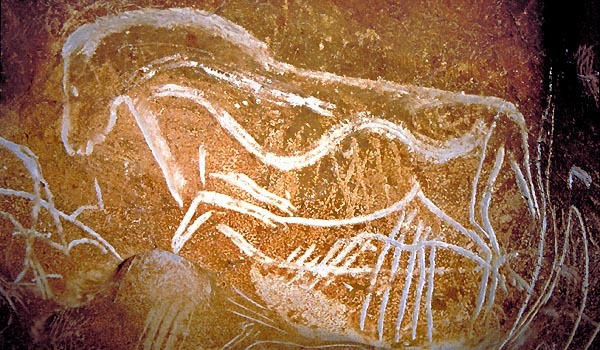 Prehistoric artists drew and painted such vivid characters with a rich and skilful naturalistic style. 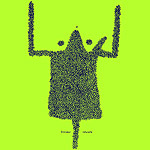 The iteration of muzzles and paws sometimes gives the impression of the movement, like an animated cartoon. 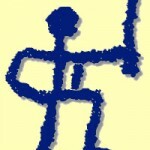 We may recall that symbolic activity, like “art”, is widely considered as a main distinctive feature of modern humans. 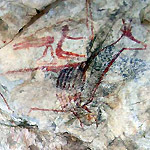 Considering the very old dates of this Palaeolithic chef d’oeuvre, it seems that figurative capabilities suddenly sprout, with no need of school or gradual refinement. 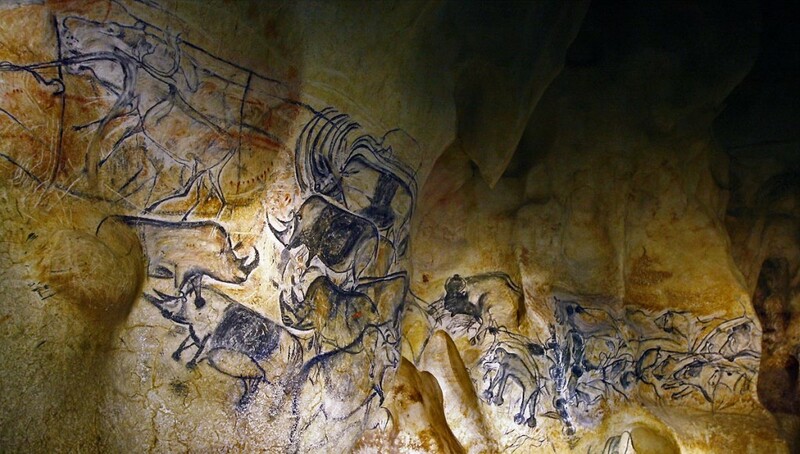 Like for all great treasures, the interest aroused by the Chauvet-Pont d’Arc cave is huge, likely enhanced by its forbidden status. 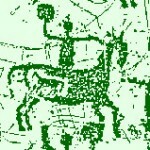 The images of its painted palimpsests, named, accordingly to their animal characters, the panel of the horses, of the lions or of the rhinos, are famous worldwide. 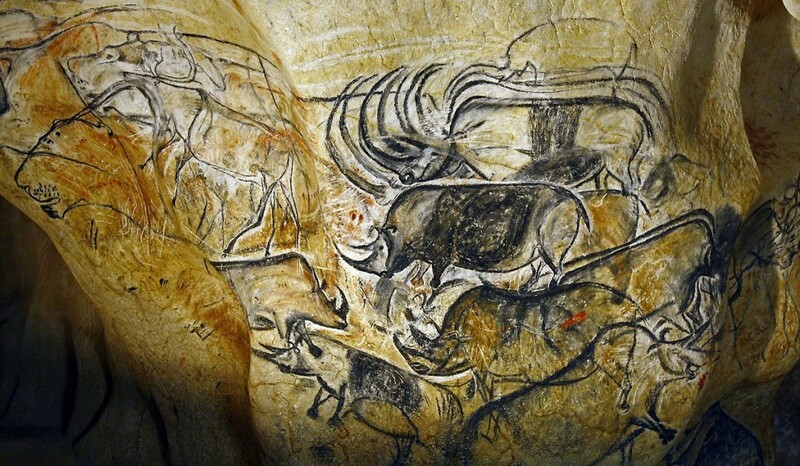 If you google for “cave art”, the Chauvet cave wiki-webpage stands out as the second result. 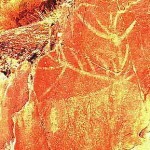 Regarding rupestre.net and TRACCE Online Rock Art Bulletin, which are web-sites specifically devoted to rock art since 1996, the search terms related to the Chauvet cave are the most typed in, about 17% of the total, almost doubling the searches linked to Valcamonica. 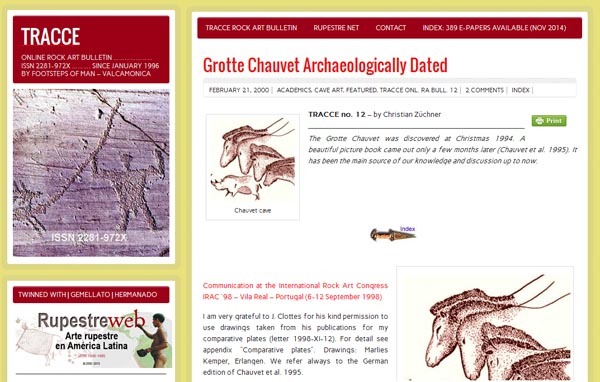 The most ever read online paper of TRACCE is Grotte Chauvet Archaeologically Dated, presented by Christian Züchner at the International Rock Art Congress IRAC ´98 – Vila Real – Portugal and published as a TRACCE paper in February 2000: more than nine thousands reads, only counting the new TRACCE WordPress edition, from 2012 to 2014. 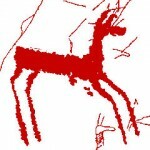 In this paper Christian Züchner, academic director of the Institut für Ur- und Frühgeschichte of Erlangen (D), was not confident with the Aurignacian dating of the Chauvet cave black paintings. 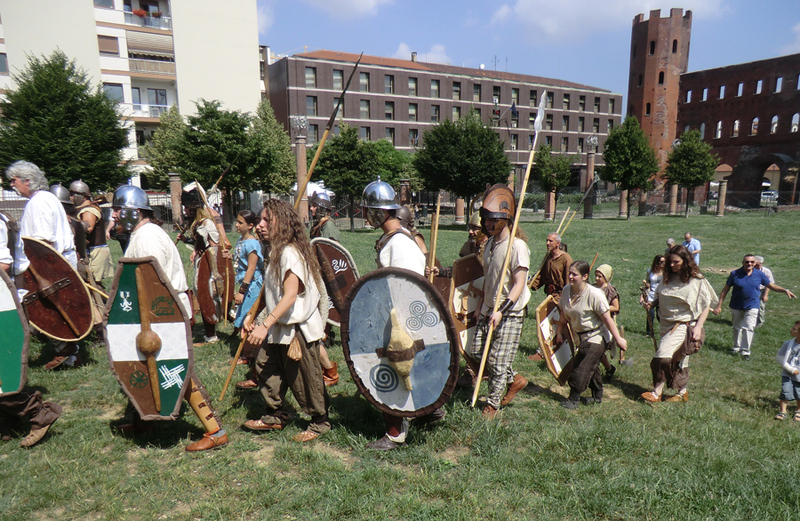 He claimed for a possible use of sub-fossil wood or of ancient torch remains for preparing the charcoal-based pigments; he favoured a late Solutrean-Early Magdalenin chronological attribution, as for Lascaux, which is some 18-13 000 years younger. The interpretation level is even more intriguing. 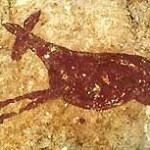 Apart from the well-known traditional hunting-magic theory, originally proposed by Henri Breuil for cave art in general, who saw in the practice of painting animal figures a way for Palaeolithic hunters to be successful in catching their preys, the ideas of Jean Clottes, the leading French scholar as concerns prehistoric rock art, former responsible (1998-2002) of the Chauvet-Pont d’Arc cave scientific research, are to be briefly cited here. 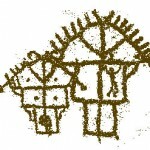 Together with the South African anthropologist David Lewis-Williams, he linked the action of painting the hidden and obscure underground walls to trance and shamanistic rituals (Clottes, Lewis-Williams 1996). According to such theories, based on ethnographical and neuropsychological studies, the art was performed under altered states of consciousness, with the aim of “passing” into a spiritual realm. Such cached world, populated by animal entities and chthonic spirits, whose power the Aurignacian shamans were searching for, while reaching a condition of hallucination, was believed to exist just on the other side of the wall, conceived to be a door, like a thin membrane dividing two separate domains. 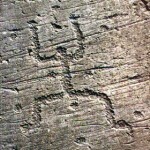 The act of touching the wall with the hands – to paint or engrave it – could have been the core of this ritual action of passing through. 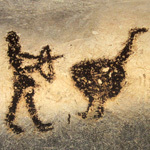 A kinetic (or better cinematic) theory is promoted by Marc Azéma, archaeologist and member of the scientific Chauvet cave team (Azéma 2011; Azéma, Rivière 2012). 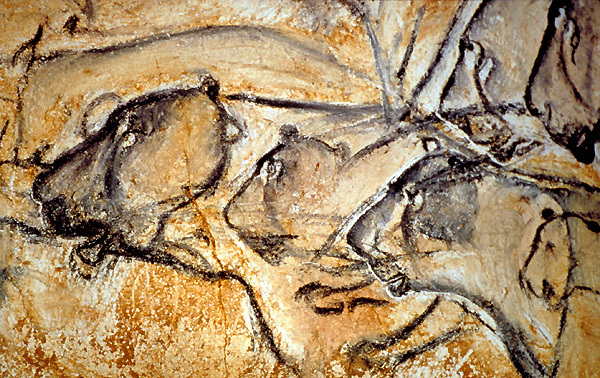 Looking attentively at some features of the animal Palaeolithic figures, particularly the ones of the Chauvet cave, like redoubled heads, paws and tails, he is convinced that the illusion of the movement is there represented, likely magnified on the occasion of the related “performances” by the trembling enlightenment of the torches and by their moving in the darkness as a grazing light. 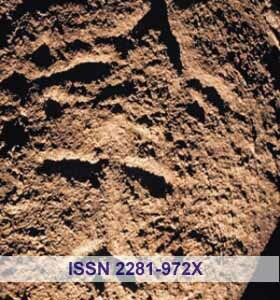 To reinforce such hypothesis, the case of a Magdalenian bone disc is reported, engraved on either faces with slightly different images of the same animal. If turned with the help of a two pieces of string, it could be the ancestor of the thaumatrope (a Greek composed word meaning “wonder turner”), an early 19th century popular toy. 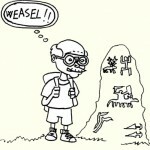 Having discovered not only the features of juxtaposed images, as for a modern comic strip, but also the properties of the superimposed ones, as for a contemporary cartoon, and thanks to retinal persistence, prehistoric artists performed the art as a naturalistic and narrative depiction of life, to enrich with scenic features educational or allegoric tales. 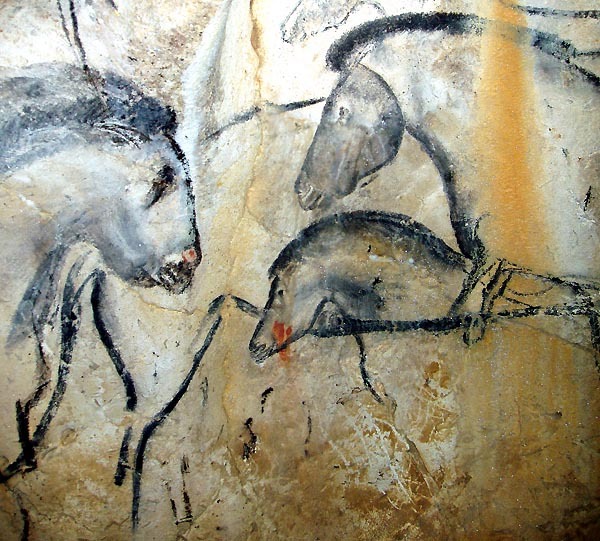 According to this interpretive path, cave-art painted panels may embody, as in a prehistoric movie theatre, the Palaeolithic origins of cinema and story-telling. 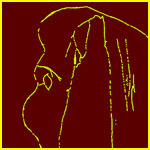 Given that all these theories may coexist, it is clear that each one of them may offer, according to our preferences, a larger or thinner slice of truth, particularly if we support the idea of ritual or ceremonial activities; the entire cake, however, is probably lost forever, as we are treating fossil cultures, which secrets we are not allowed to know, probably only to admire, while looking at their magnificent iconographic heritage. 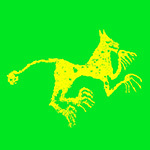 Chauvet appeal fascinated even the German film director Werner Herzog. 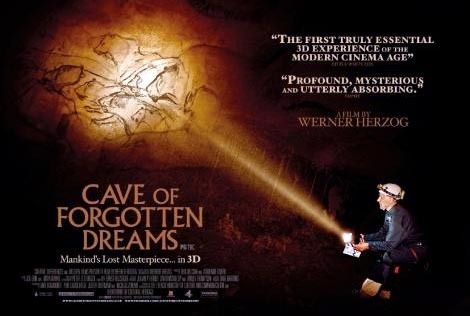 In 2010 he produced the documentary Cave of Forgotten Dreams (89′), shooting with a 3D camera the art and the scenic features of the underground rooms, as well as a series of interviews with various scientists and historians. 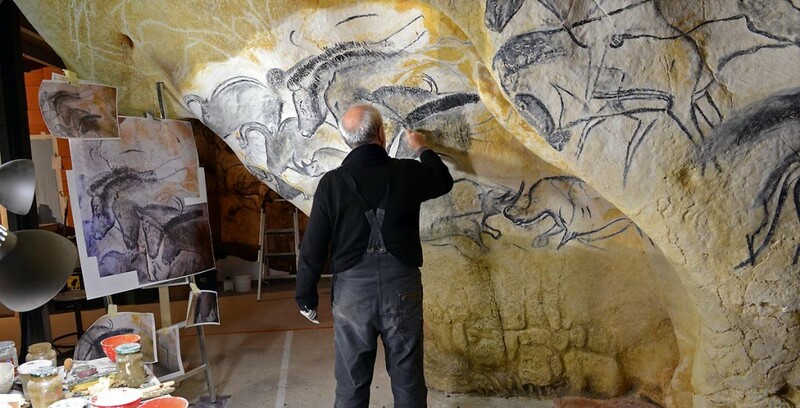 The documentary, reported as being “profound, mysterious and utterly absorbing” – exactly as the Chauvet cave we may say – was a success, featuring as the highest-grossing independently released documentary of 2011. 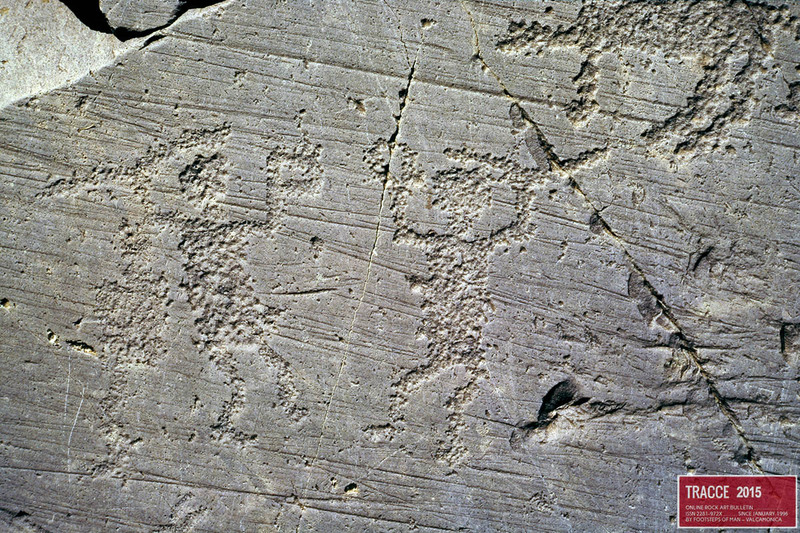 Quoting from the Werner Herzog website, “the 3D format proves essential in communicating the contoured surfaces on which the charcoal figures are drawn. 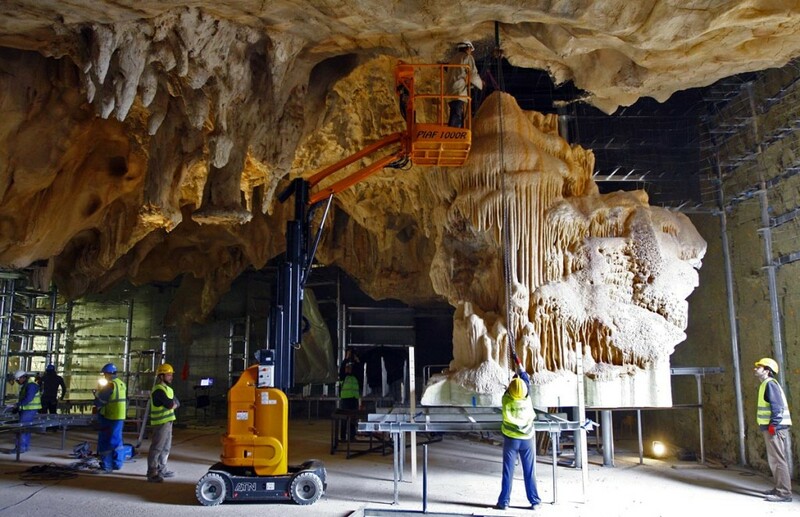 Beyond the walls, Herzog uses 3D to render the cave’s stalagmites like a crystal cathedral and to capture stunning aerial shots of the nearby Pont-d’Arc natural bridge”. 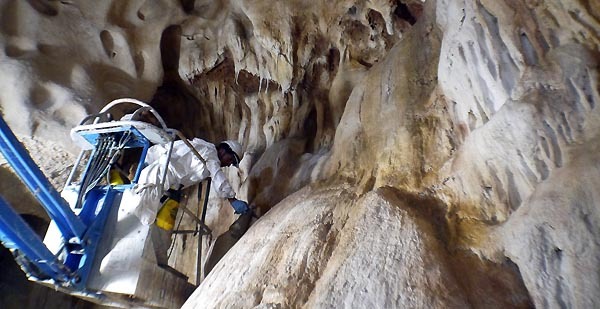 As already said, evaluating the necessity of preserving such a monument, the Chauvet-Pont d’Arc cave is and will be (fortunately) off-limits to the wide public. But on the other hand, considering its wide notoriety and the huge interest aroused by its paintings, the need of allowing a tourist recreation has been, since its discovery, a compelling priority. As with he Lascaux cave, there is only a word to solve such a plight, not hard to guess: this noun is replica. 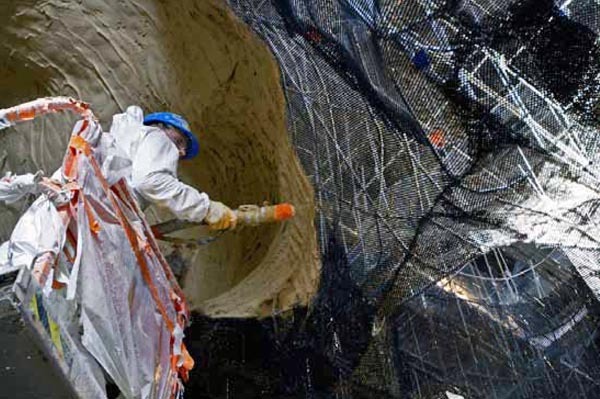 On February 1997 the French State purchased the cave from the owners of the above land, to whom pertained the property of the underground findings, according to the French law. 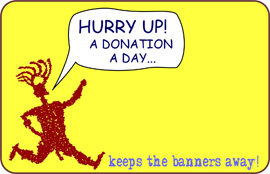 After many years of litigation, a monetary compensation of € 780 000 was acknowledged. Six years ago, on 2008, an international contest to choose the architectural project was launched, and it was won by the French architect Fabre Speller, in association with Atelier 3A, Agency Scene for the scenic design and 35 companies covering construction, industry, crafts and arts. 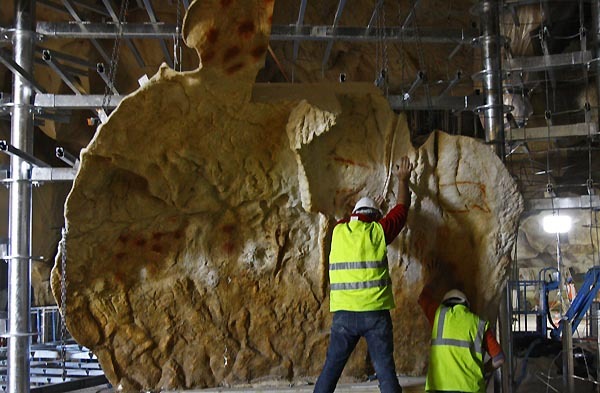 The first “stone” was laid in 2012: the project is supported by the Rhône-Alpes Region and the General Council of the Ardèche, strongly funded by the French State and the European Union, with a total investment of € 55 millions. 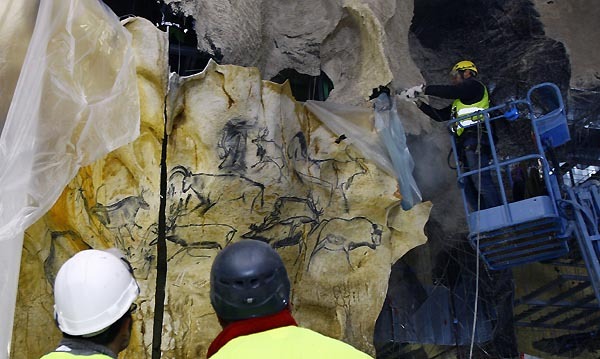 After only 30 months of work, the Chauvet-Pont d’Arc cave replica, the biggest ever built worldwide (ten times greater than the Lascaux facsimile), with more than 8000 m² of cave and prehistory scenery, will open to the wide public. The grand opening is scheduled for April 25 2015: don’t miss it! Thanks to the French Culture Ministry, a rich set of iconographic material is freely available for the press, to share the unveiling of such an important enterprise. It is a honour and at the same time a duty for TRACCE editors to spread the information about such event. A wide choice of the most meaningful pictures is here presented, to illustrate the state of “art”, intended in all its aspects, regarding original paintings, “counterfeited” replicas, architectural project and scenic design. 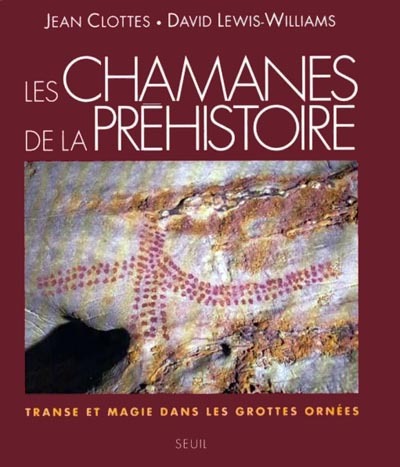 The facsimile is located at the Razal site, a wooded area of the Vallon-Pont d’Arc plateau. 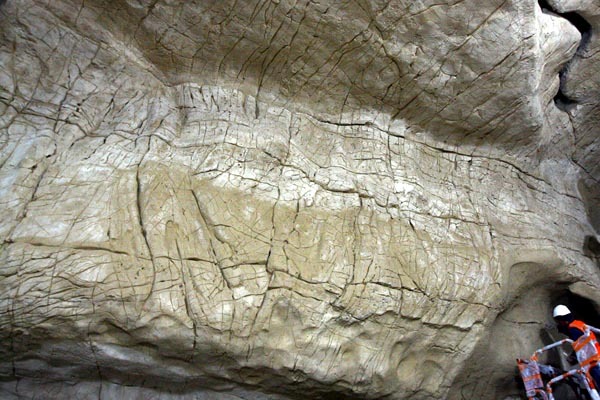 It has been projected in order to be indistinguishable from the original site: all geological (rooms, walls, stalagmites) and archaeological (bones, fireplaces, footprints) features, such as paintings and engravings, are reproduced full-size in an underground environment identical to the original one. Visitors’ senses will be stimulated by the same sensations of carefully reproduced silence, obscurity, temperature, humidity and acoustics. The guided trail runs on a raised walkway, enriched by ten observation stations. 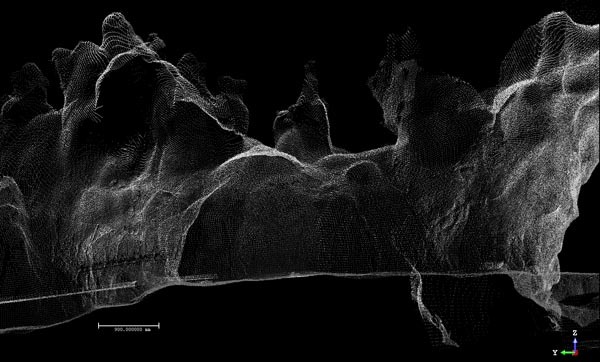 To build the replica, the original inner space was hi-res scanned, in order to produce a detailed 3D model (cloud of points), subsequently textured with more than 6000 digital pictures. 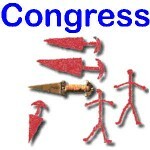 Thanks to the anamorphosis technique, the total extent has been compacted, without any loss of interest points. 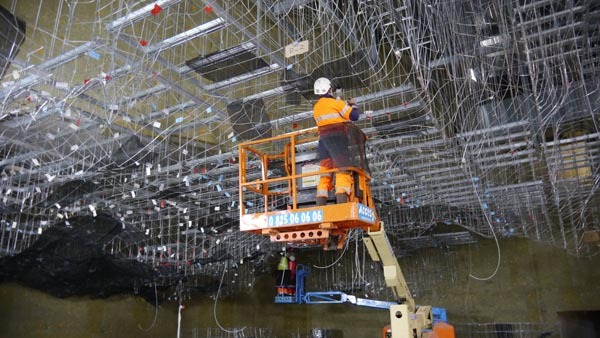 A huge concrete “shell” contains the inner reproduced volume, firstly sketched by a skeleton of metal rods and grids, then shaped by flexible walls, enriched by mineral powders and natural binding materials. These base walls have been refined by sculptors, to recreate the original rock surface reliefs and cracks, and by painters, to accurately reproduce colours, utilising ochre, earth colours and manganese. 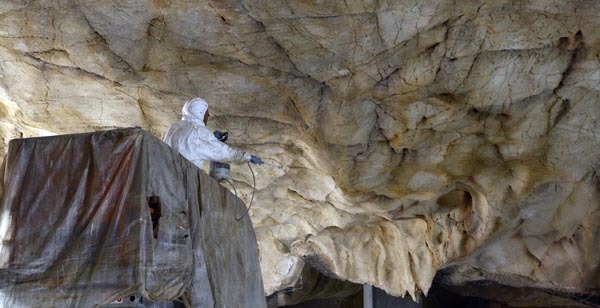 Twenty-seven painted and/or engraved panels, the core of the cave heritage, have been then reproduced by a digital cast and with a millimetre precision utilising synthetic resins and natural powders. 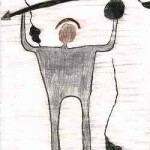 Here is the turn of counterfeiter rock painters and engravers: with the aid of projected images and their artistic skills, the same figures shaped by prehistoric artists are recreated. Only to cite a detail, Gilles Tosello, who is also a cave art scholar and a member of the scientific team, worked on the horse panel (black paintings) with burnt Scots pine sticks, the same tool of Palaeolithic artists. 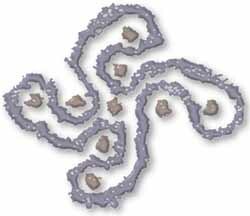 After this step, it’s time for sculptors again, with the help of designers and engineers, to shape geological items, including stalactites, stalagmites, draped calcareous concretions and encrusted soils, paying attention to their colour and translucent features. 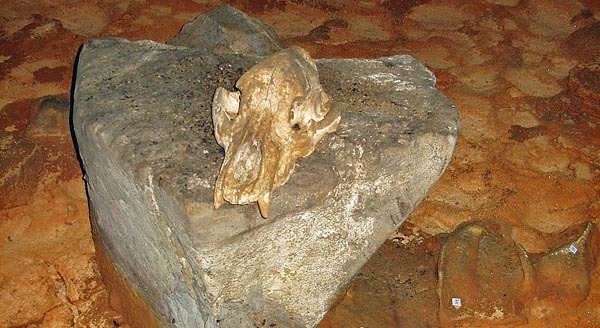 The same for cave-bear bones and craniums, which are abundant inside the cave. The job is accomplished by a final assembly and by reproducing fireplaces on the soil and torch marks on the walls. As well as in theatre, stage lighting – and darkness – and acoustics will complete the magic. 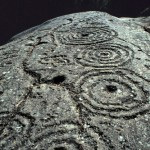 Said that, it is clear that we are facing a huge project, a keystone for prehistoric rock art management and promotion, expecting 300 000 to 400 000 visitors per year; such a replica will be surely worth a visit, not only for each rock art scholar or aficionado, but also for every person, fascinated by this fundamental step of mankind history and art. Like all rock-art expressions, it’s a book made of stone pages, in this case the most important one, to be read with attention and with a great sentiment of admiration. Any recommendations of where to stay between Nice and Vallon Pont-d’Arc?